Pyroplex® Fire Rated Expanding Foam is a flame retardant based polyurethane expanding foam, which sets in a solid form by using moisture present in the atmosphere. 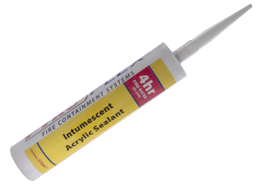 The product is suitable for sealing gaps around doors and window frames, using secondary fire sealing media around services, such as metallic cable trays and general service penetrations. 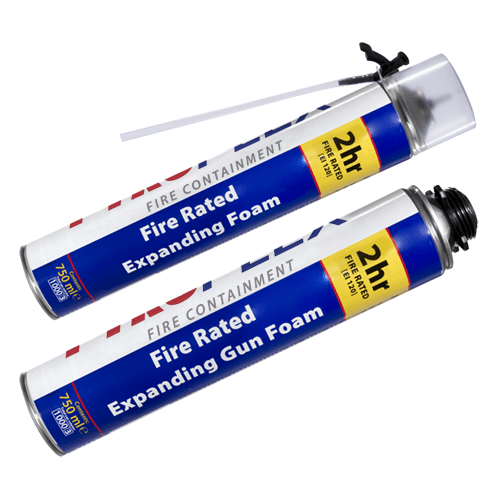 Pyroplex® Fire Rated Expanding Foam is an ablative product, which will achieve a fire resistance period of up to 120 minutes when used in conjunction with a mineral fibre backing material. Fire resistance of up to 2 hours dependent upon gap to depth ratio. Quick curing, can be cut, sawn or formed within 60 minutes of application. Easy to install, with up to 3m linear joint being fitted in under 10 minutes. Can be painted and/or plastered without additional primers. Expands up to 38 times its volume, which can prove an economical solution to other alternatives. Cavity joints between doors and window frames. 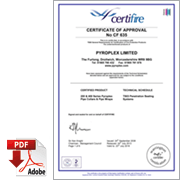 Non-combustible services, including ducts and cable trays. 1. Surfaces must be firm, clean, free of dust and loose particles. The cavity or voided area to be filled must be well moistened with water, this will aid installation adhesion to the substrate. It may be necessary to use a primer, prior to the application of the foam. 2. 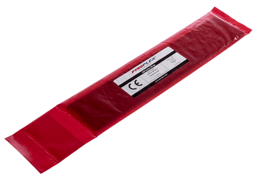 It is important to use the foam within a temperature controlled environment, the minimum temperature to which the foam can be installed should be no less than +20°C. 3. If the temperature is below +20°C the foam may show signs of slumping and irregular expansion. 4. Cans should not be left in an over-heated environment, temperatures above +50°C or exposed to direct sunlight. surrounding area of the cavity, particularly in areas where the compartment may be decorated or furnished. 6. Shake the can for two minutes, until the foam inside becomes liquid. 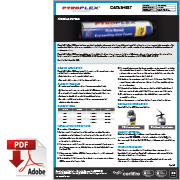 This is essential to ensure the performance of the product. Then attach the adapter or gun to the canister. 7. Fill the cavity from the base of the aperture slowly and build up the layers of the foam, ensuring that the void is filled. Take care not to over-fill the cavity. 8. 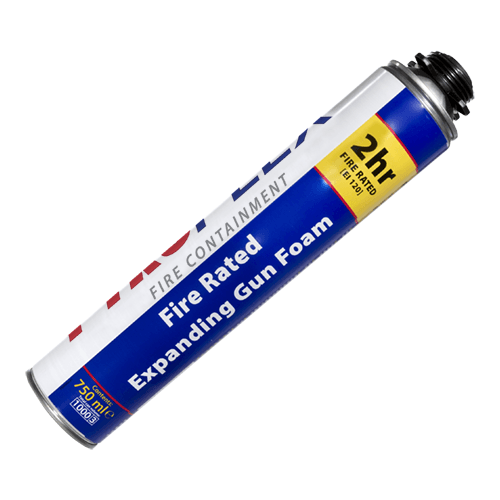 Allow the foam to cure and using a sharp bladed instrument cut-off the expanded ‘cured’ foam. 9. Ensure that empty cans are disposed of by reference to local regulations.